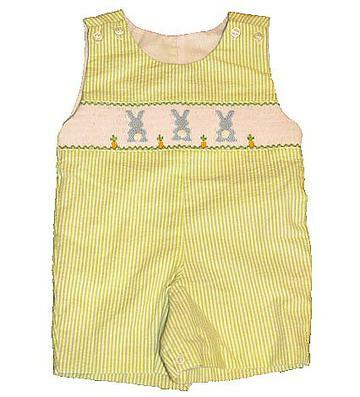 Babies never looked so cute in this green and white seersucker bunny romper. 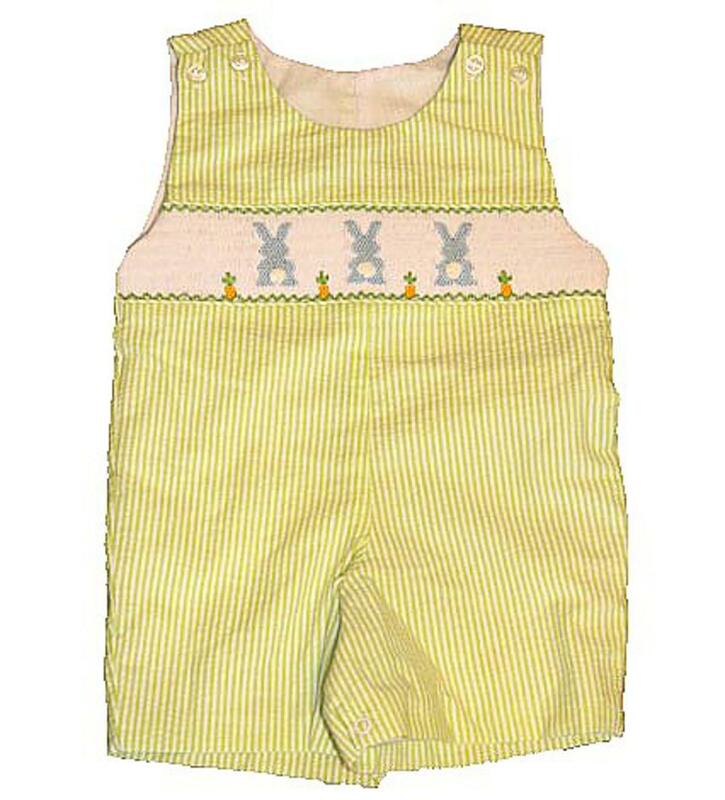 There is a handsmocking on the chest with three blue bunnies and puff white tails. There is four carrots to each side of the bunnies as well. There is two buttons to each shoulder on the shortall to get on/off easily and snaps on the inside of the legs to accomodate diaper changes. The super soft easter outfit is 100% cotton.